WCPE Episode 041 – For April 29, 2015 – WORST. COMIC. PODCAST. EVER! For the comic book fan, this is the most anticipated week of the year. If you look at the calendar, the first Saturday of May is coming up in a few days, and that means it’s FREE COMIC BOOK DAY! FCBD has become an annual celebration to highlight ongoing books and highlight new comics coming out soon from the various publishers. Rules may vary by the store, but stop in and grab a free book or two. Heck, browse the store and pick up some other books too! 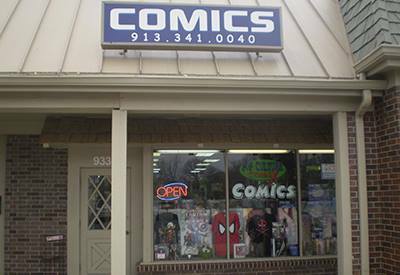 To talk about FCBD, John and Jerry went on the road to visit Sid Smith at Pop Culture Comix in Overland Park, KS. Sid has been selling comics for over 20 years here in the Kansas City market. Pop Culture is a finely-stocked store. Anything you might be looking for — comics, trades, action figures, t-shirts, and more — you can find it in this store. Pop Culture offers several different discount programs for regular customers, so bring in your list and start getting your books here. For FCBD, Sid has a very generous offering. You walk in the door at Pop Culture, you can help yourself to five (5) of the FCBD titles. But picking just five titles is hard! Want to get more? Then bring along a donation for Harvesters, a regional food bank serving a 26-county area of northwestern Missouri and northeastern Kansas. Harvesters provides food and related household products to more than 620 not-for-profit agencies including emergency food pantries, community kitchens, homeless shelters, children’s homes and others. For every item you bring in — canned goods, peanut butter, toilet paper, etc. – you may get another FCBD book. Bring in five cans of corn, you can get another five books. Best deal in town. 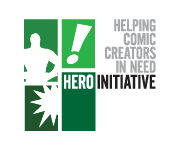 You get more comics, and you get to help someone else out! Last year, guests at Pop Culture filled up nearly five of the large Harvesters donation barrels. I know that our loyal listeners can help to top that this year. To find out more about Harvesters, please visit harvesters.org. So, let’s go see Avengers: Age of Ultron this weekend – you can see it with us on Sunday. Stop by your local comic shop, like Pop Culture Comix, to get your Free Comic Book Day books, and be sure to thank your retailer for supporting FCBD. We are the Worst. Comic. Podcast. EVER!, and we hope you enjoy the show.